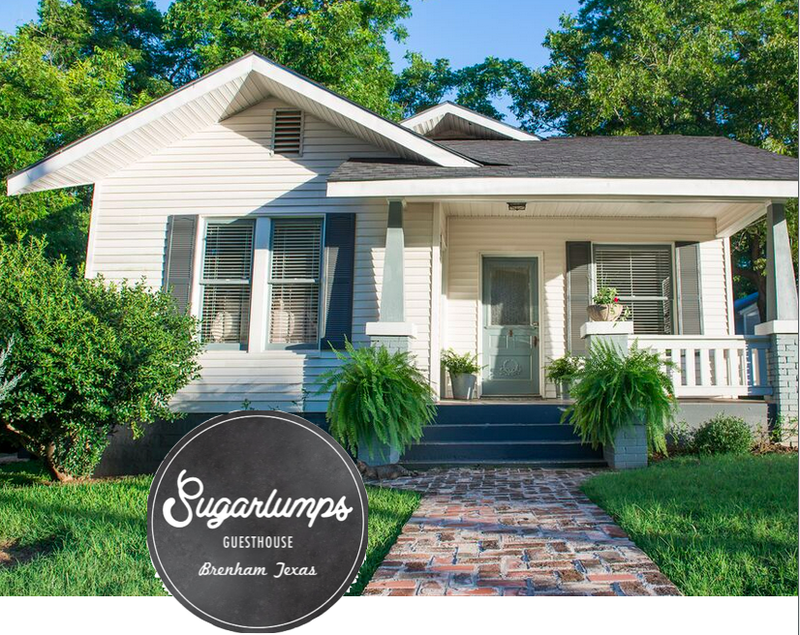 Y’all have to see this….the cutest guesthouse (aka bed and breakfast) in Brenham, Texas is now taking reservations. 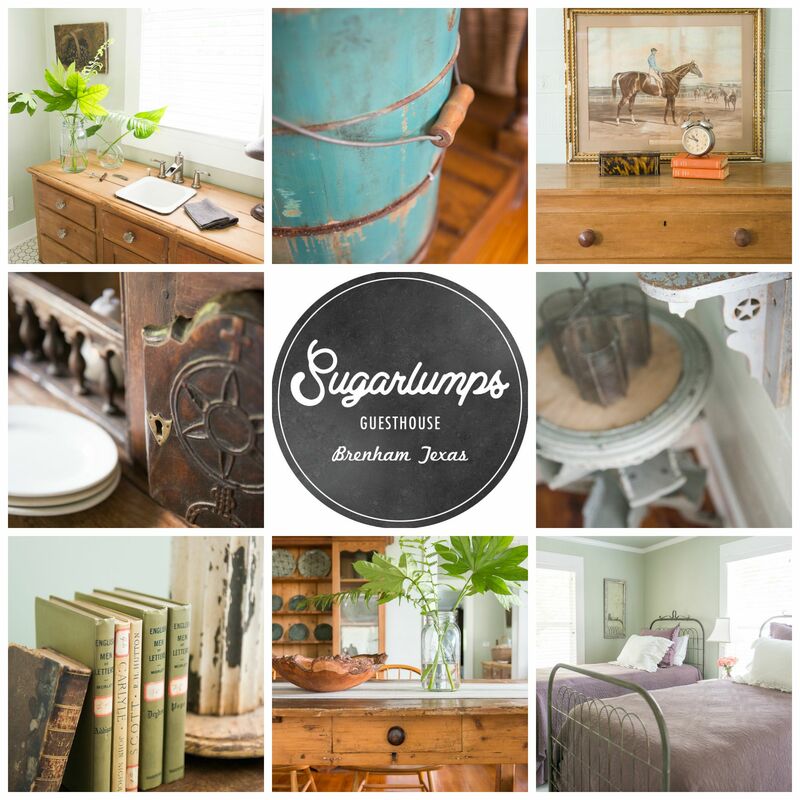 Sugarlumps is named for the sweet lady who lived in the home for many years….that was her nickname! 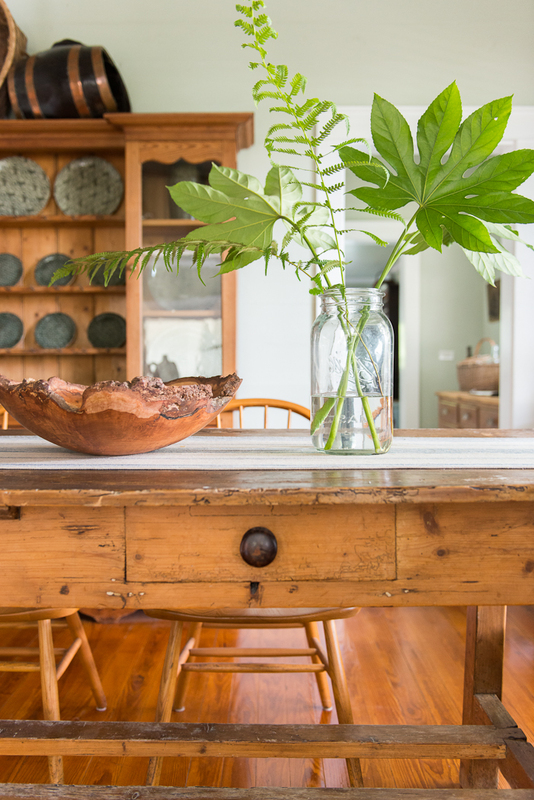 Many of the antiques and furnishings are from Leftovers Antiques and you can certainly see their wonderful touches in each room. The room has a living room with sofa and tv and comfy chairs and this beautiful dining room. OMG this table y’all. 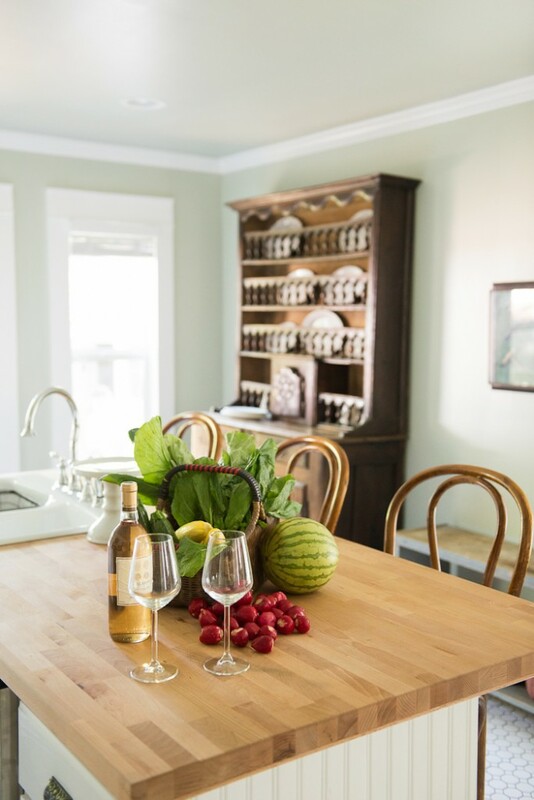 Can’t you imagine drinking wine with your girlfriends here after Round Top or lazy breakfast before shopping in on Brenham’s cute square. Also a butler pantry that leads into fresh kitchen area! 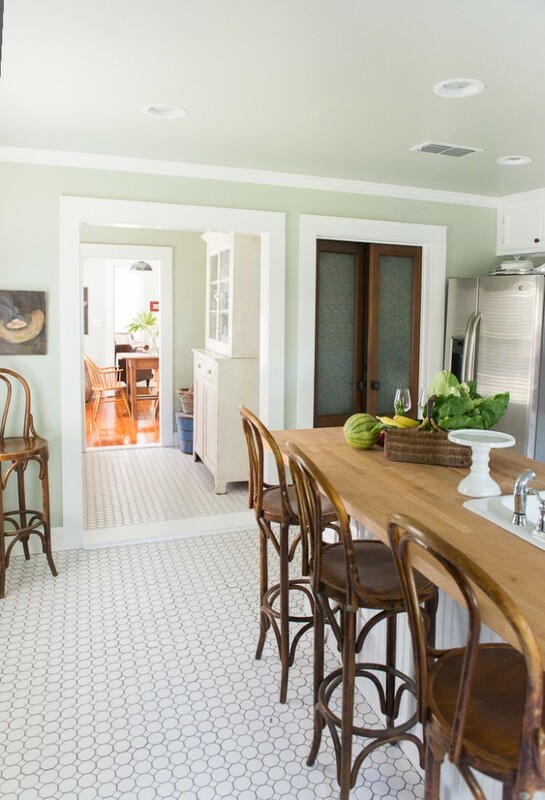 Can you even this butler pantry passage between dining and kitchen..love the bar sink and floor! 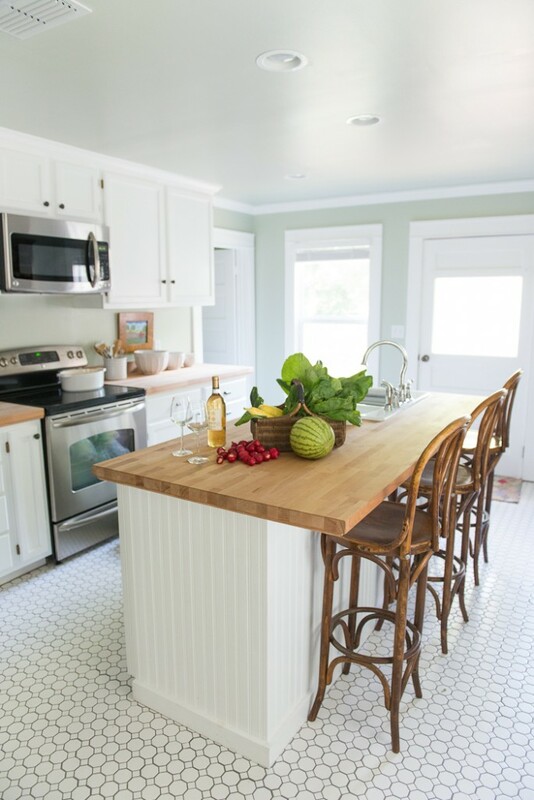 And on into the darling kitchen…. And not that you will be doing laundry while here but you can if needed..washer and dryer behind the cool doors! 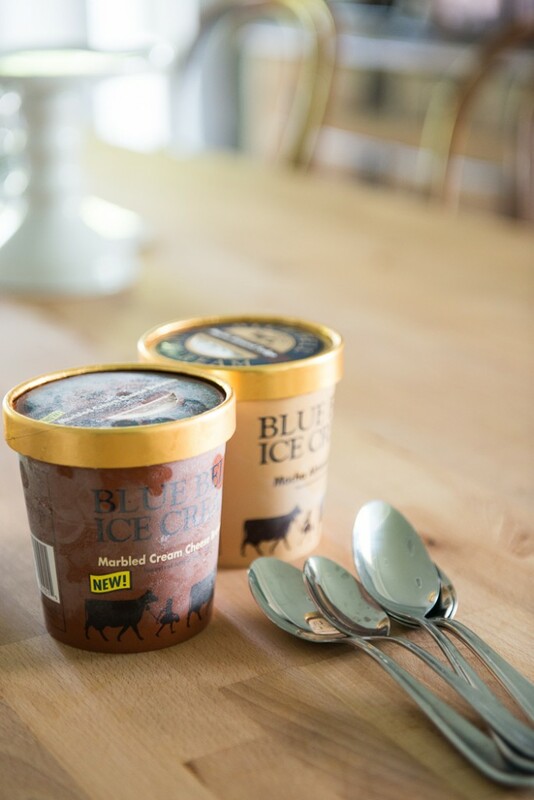 Look what we found in the fridge…bootleg Blue Bell…good thing its back for real next week! 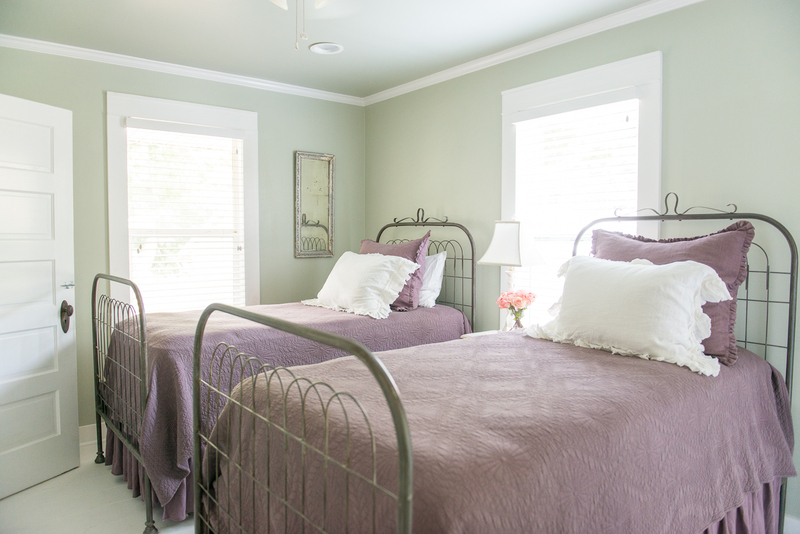 The house is near downtown and has three bedrooms including two queen beds and two twin beds. Above is the front bedroom. And below the middle room. Love that Hair sign and the Bella Notte linens. Last is the back bedroom by kitchen with twins! Each room has a closet or large armoire. 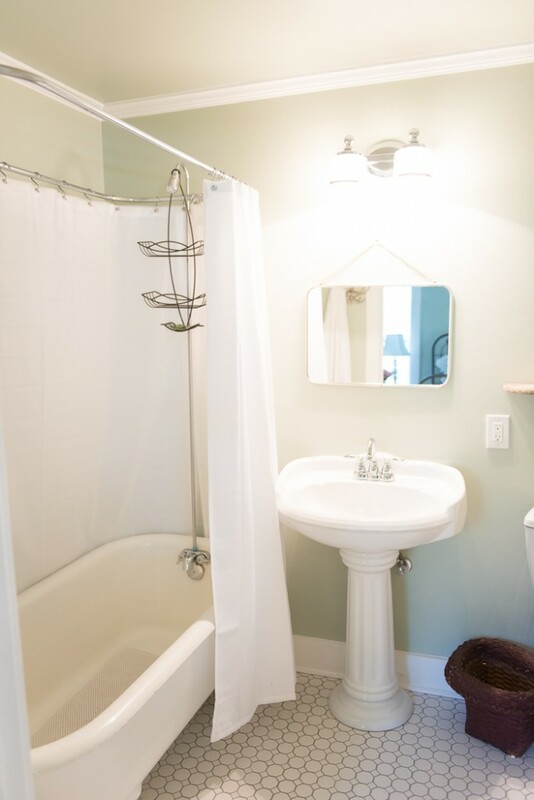 The house also has two bathrooms with old tubs and showers. The largest bathroom is so cool with reclaimed door and old fixtures. 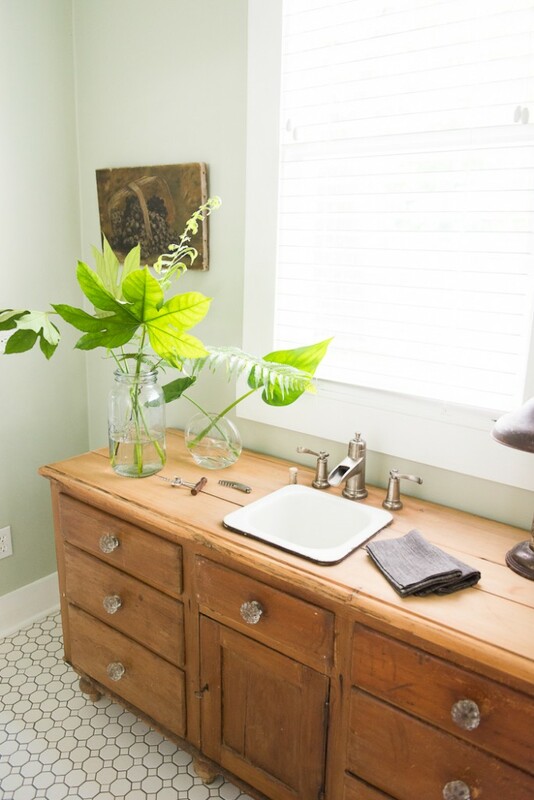 I want to live in that bathroom. Contact Debby Welch for availability (email: debbywelchre@gmail.com or (254) 749-6332. I believe it’s book THIS Round Top except the last few days (Oct 2-4) but it’s a great getaway any time even NOT during Antique Week…come stay here, go to Leftovers Antiques and shop and Junk Gypsy and shops downtown Brenham and Round Top…Have pie at Royers Pie Haven…there is plenty to do here with or without the antique crowds and this is the perfect place to stay! 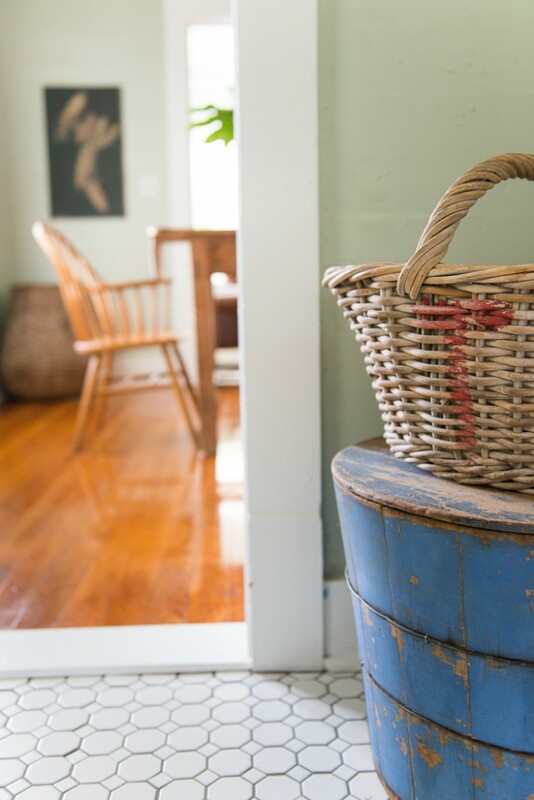 Thank you Natalie at the Shady Acre for helping photograph this project..a joy always! What a great guesthouse. I will definitely be putting this on the list of places to stay in Texas. May I please just buy that house and make it my weekend home? 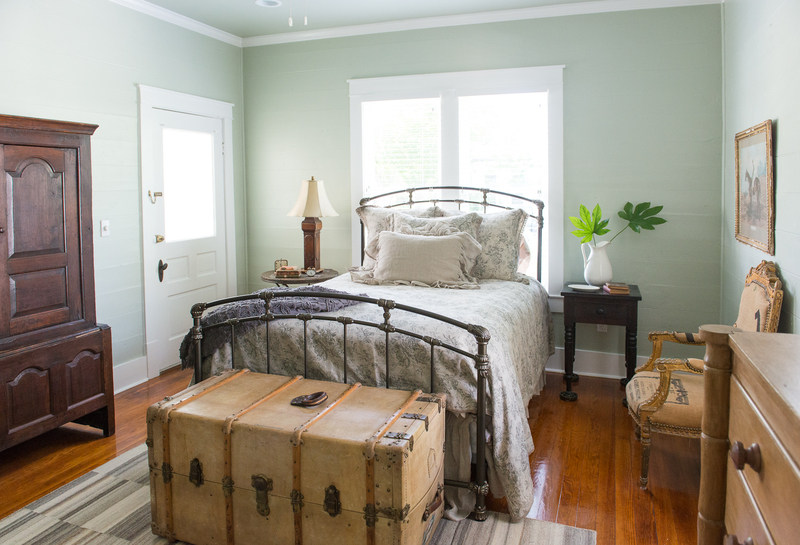 Such a beautiful bed-and-breakfast and I definitely see the leftovers touch all over it. Even the linens are calling my name. I’m definitely going to Have a girls weekend here as soon as I can get the date straight. Thanks for posting this Holly! Beautiful pictures indeed! 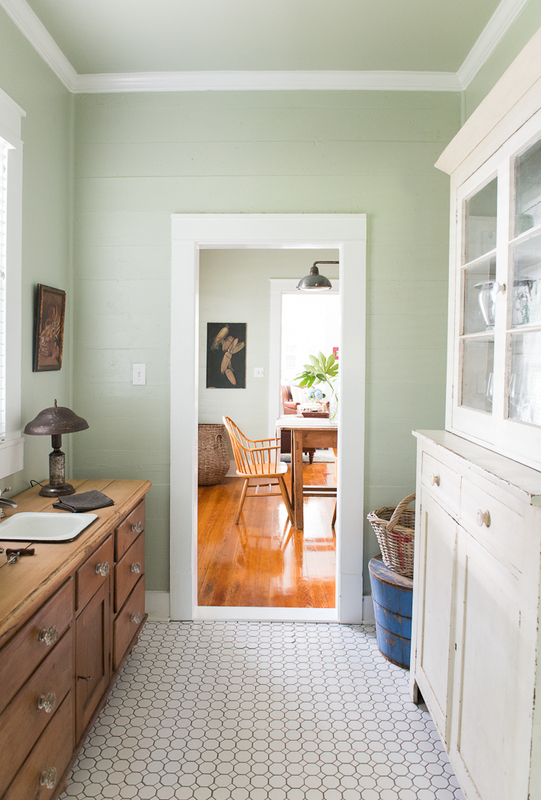 What a gorgeous little space! I love all of the design options and that table is to die for. If I’m ever in the area, I absolutely need to book there! Oh what a sweet name in honor of a previous owner, I do have to comment each room has something I want to bring home to my French cottage making a great blend. 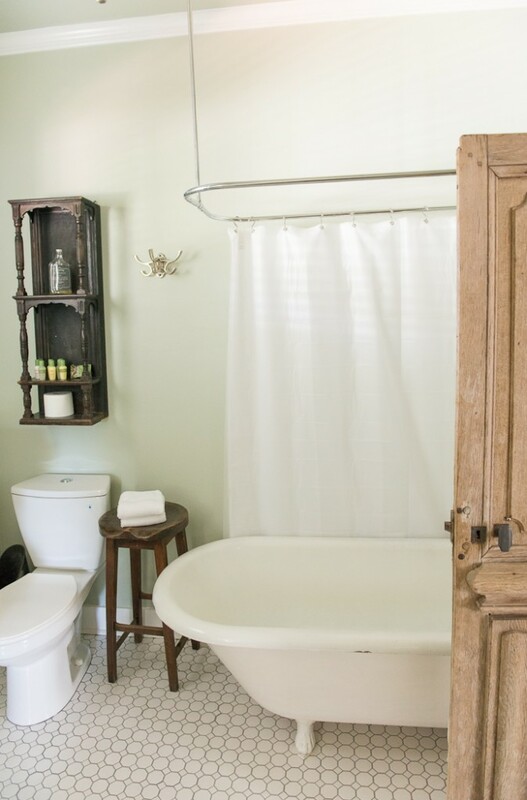 Love that shelf in that bathroom with the spindles on it. 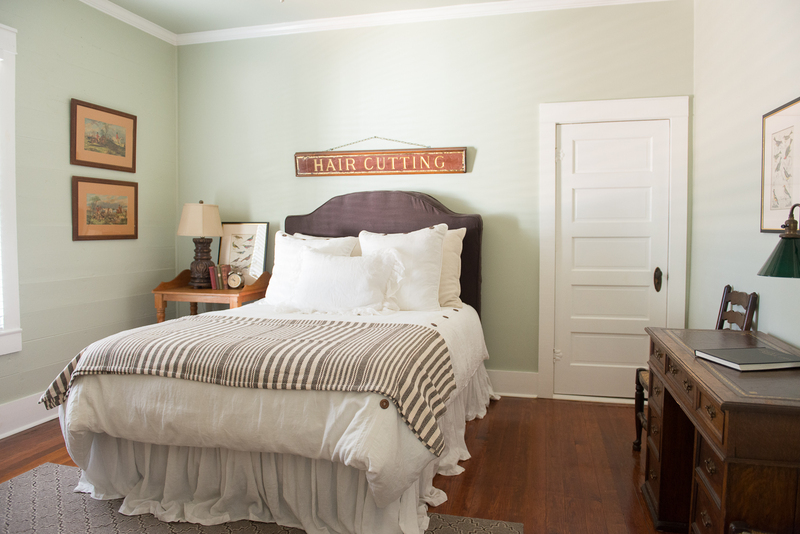 The gate reproduction style beds are as sweet as can be if I had a Baden guest cottage they would fit sweetly in place. Thank you for this share, it feels like a cozy place to stay. Well, it is absolutely adorable! I would stay here in a minute, any time of the year. 🙂 Thanks so much for sharing with us. Much to be inspired by here. What a cute place:) I could be comfortable there! you are my friend even though you don’t know it – have been a fan since your first bhg article(which I “borrowed” from a doctor’s office and immediately after, dropped by a decor store and there were your burlap embroidered pillows, so it was fate!) 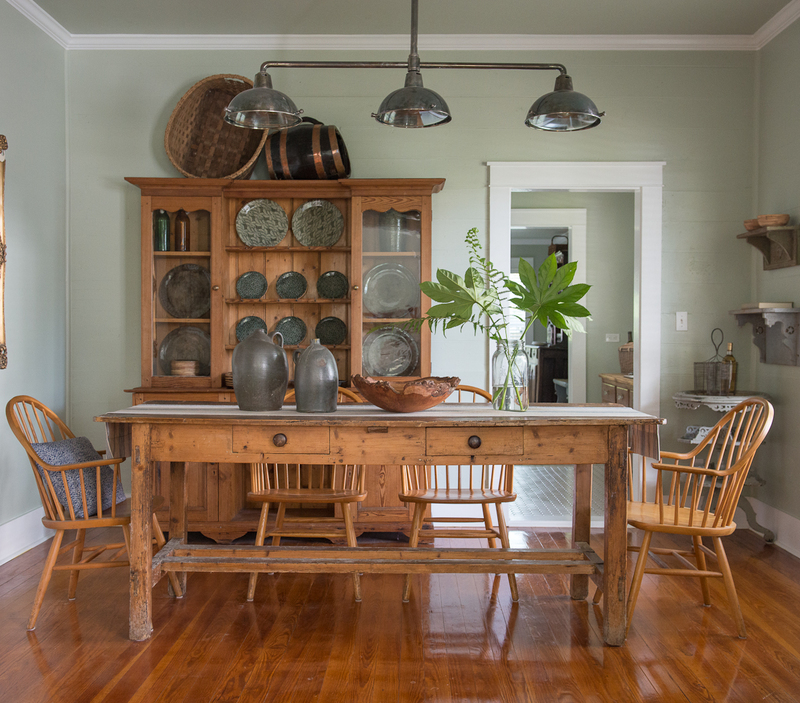 anyway, now I am following you and hope you can tell me the source for the bentwood barstools in this wonderful place – and….are they comfy?